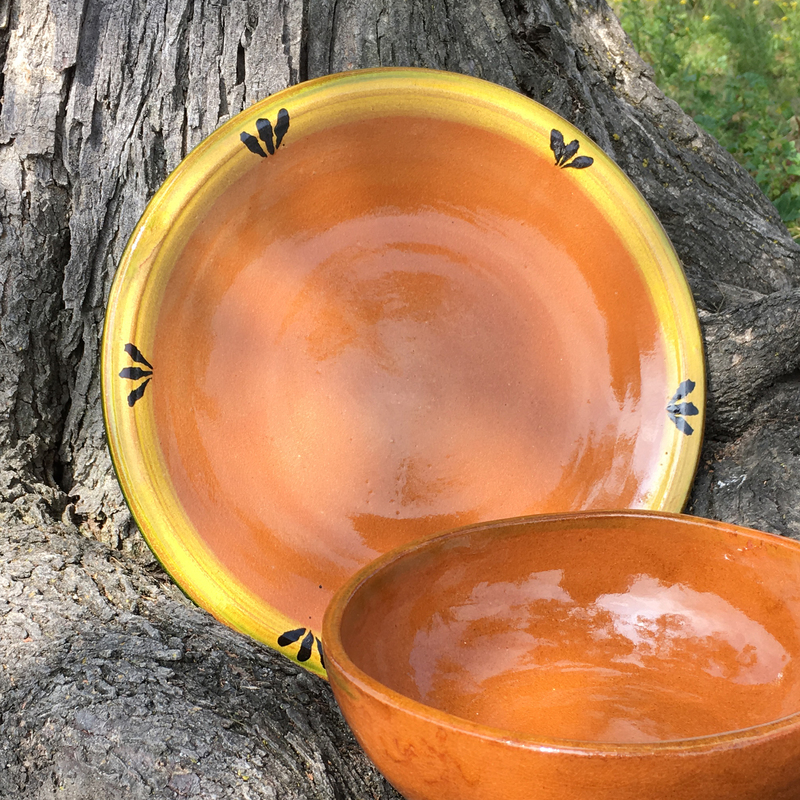 Our hand-made, 10 inch Mexican Clay Plate, is an excellent way of adding a rustic touch to an elegant table. Whether used to serve a meal on its own, or as a base for our Soup Bowl (sold separately), it make for a great presentation. The plate is made of extra think clay which makes it very durable. It has a natural clay terracotta color, highlighted by a translucent yellow and green rim and accented with black trefoil leaves.